Can you imagine being Job and having to face the God of all creation, of having to face him? “I have heard of you…but now my eye sees you.” It is almost like Job only dares to look at God out of the corner of one eye. What a fearsome thing to behold the glory of the Lord. John only saw a shimmer of this glory in the form of an angel, and he fell to the ground to worship that messenger of God’s glory. If a reflection of God’s glory staggered the understanding of the apostle, what did Job face, even if only squinting at God’s glory out of one eye? The glory of God is the opening of heaven where we behold God eye-to-eye. This is who Job faced. This is the glory John finally understood. This is the vision of heaven that the Word points to and that the Trinity of God envelopes. This is who we are called to see with both eyes, with clear vision, with whole hearts. “Behold! 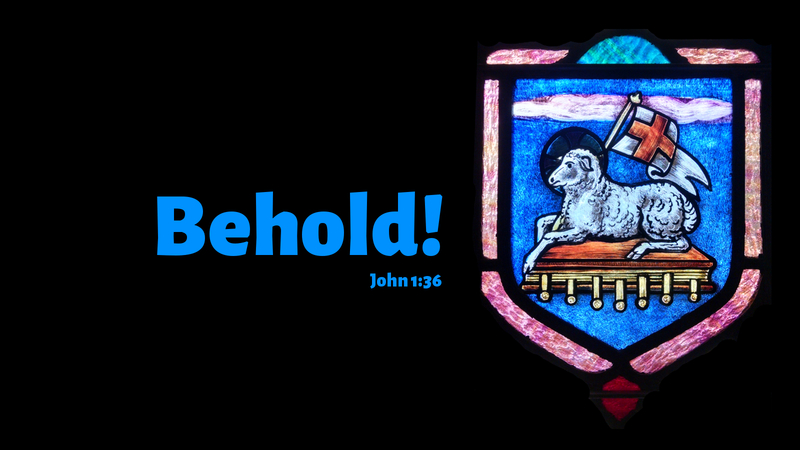 The Lamb of God who takes away the sin of the world” (John 1:29)! Prayer: Open my eyes, Lord; I want to see Jesus. Amen.